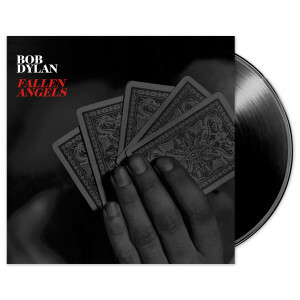 Fallen Angels is the 37th studio album from Bob Dylan. Featuring twelve classic American tunes written by some of music’s most acclaimed and influential songwriters – including Johnny Mercer, Harold Arlen, Sammy Cahn And Carolyn Leigh – the album showcases Dylan’s unique and much-lauded talents as a vocalist, arranger and bandleader. The Jack Frost-produced album marks the first new music from the artist since his 2015 release, Shadows In The Night, which also showcased Dylan’s interpretations of classic American songs. That album reached the Top 10 in seventeen countries, including #7 in the U.S., with #1 debuts in the United Kingdom, Ireland, Sweden and Norway.